I photographed quite a few frogs in Costa Rica, but I’m having a hard time identifying them. 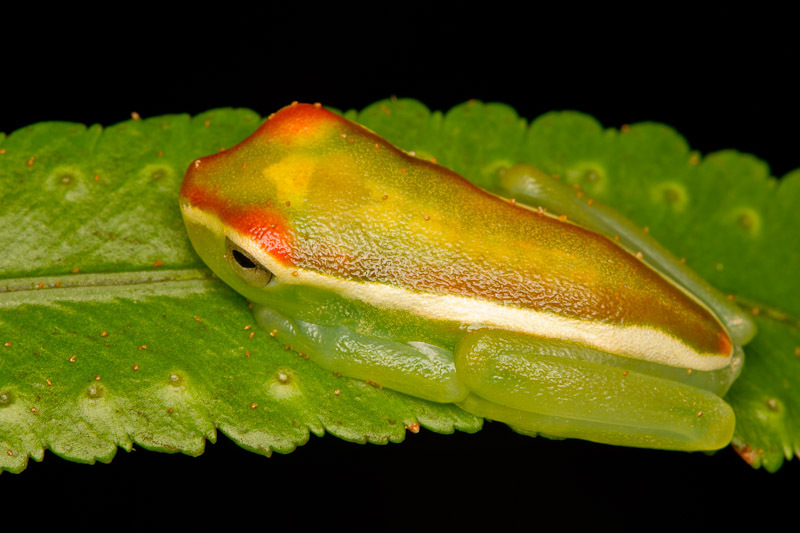 My first thought for this attractive little one was that it might be a glass frog of some type (family Centrolenidae), because it appears to be somewhat transparent. 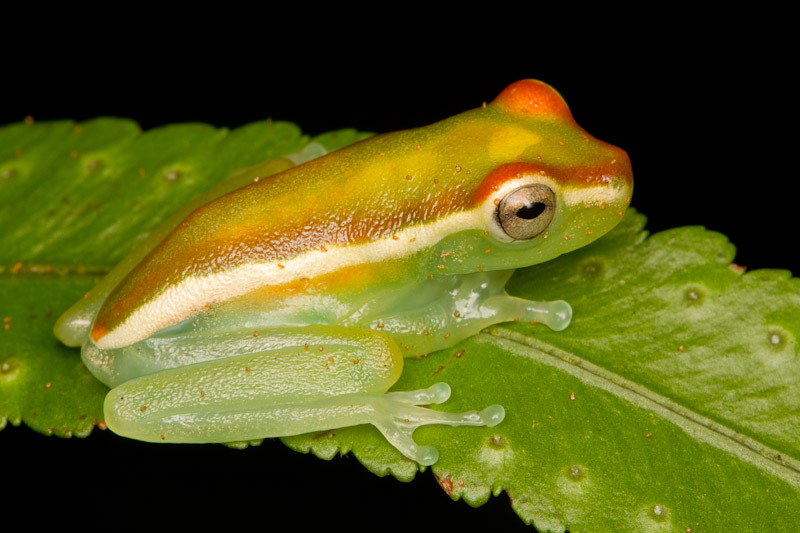 Brian Kubicki of the Costa Rican Amphibian Research Center was nice enough to respond to an email and identify it instead as an immature tree frog (family Hylidae), Hypsiboas rufitelus. Looking around for online photos (here’s one of Brian’s), it looks like they must lose that bold red dorsal coloring as they mature. One of the common names I found is red-webbed treefrog, for red webbing between their fingers and toes. I had meant to look up the scientific name. I just did and “rufitelus” appears to mean “red web”.